Armed with deadly five ton 'Tallboy' bombs, Lancasters of 9 Sqn. and 617 Sqn. make their final attack on the German battleship Tirpitz in Tromsø fjord, Norway. 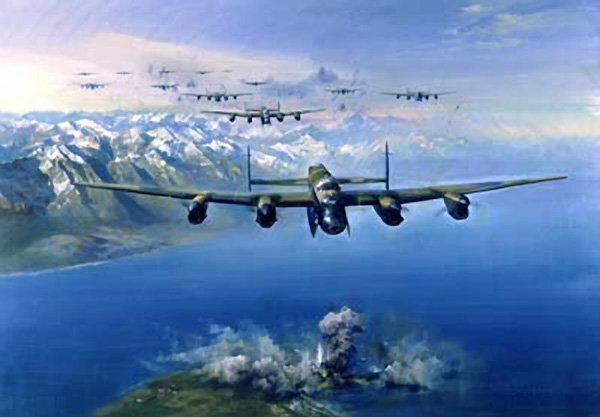 I have a very small quantity of the prints signed by no less than 10 aircrew who took part in the final attack that sunk the Tirpitz.